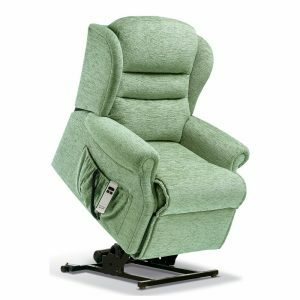 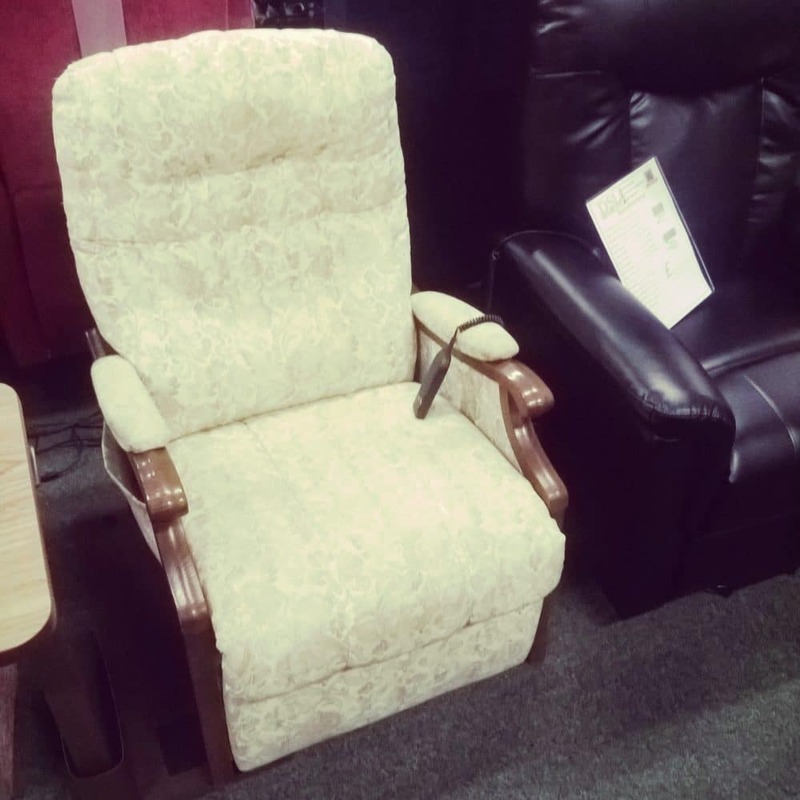 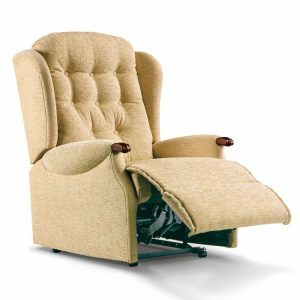 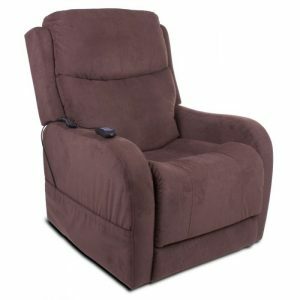 This chair is a reconditioned rise and recliner, it is fitted with a dual motor, meaning that the back and feet of the chair can be adjusted independently of one another to acheive a more complete range of positions including a full recline. 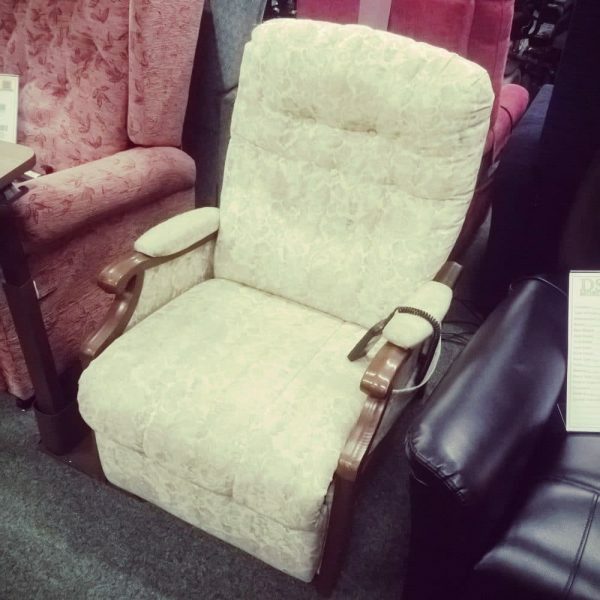 It features a button back providing a firm cushioning for improved lumbar support support and is finished in a beige floral fabric and has a teak wooden frame. 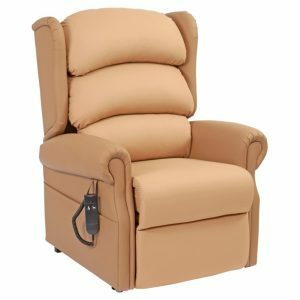 Delivery Restrictions – Please contact store to check.